J-Flex enjoys an industry wide reputation as the market leader for the manufacture of speciality sheet products including silicone rubber sheets. An innovative addition to the silicone sheet range is Micra-Sil® Antimicrobial Silicone Rubber. Micra-Sil® is an antimicrobial silicone that offers microbial protection and absolute product purity – essential for all no-risk areas and clean industries. 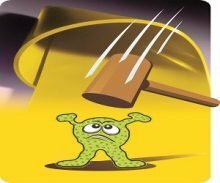 Ideal for medical, pharmaceutical, food and drinks industries, it has been independently tested and confirmed to prevent the growth of and destroy on contact MRSA, E-coli and Salmonella. It also has FDA approval. Micra-Sil® antimicrobial silicone rubber offers all the benefits of rubber materials, as well as being able to destroy bacteria and microbes. It is also future proof against further contamination. 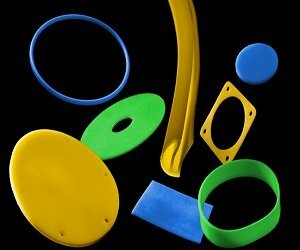 Our antimicrobial silicone rubber is also tasteless, odourless, non-toxic, non-leaching & non-corrosive. 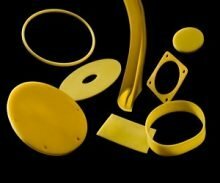 As manufacturers of rubber products, Micra-Sil® antimicrobial silicone rubber can be supplied as sheets, die cut gaskets, moulded seals, extruded sections, inflatable seals – in fact any moulded, extruded or calendered component.